10mm OG edge glass top and solid oak fully assembled base. The Chair offers 100% portobello bonded leather upholstery with oak hardwood arms and oak tilt-swivel base. The Collection is made in USA. 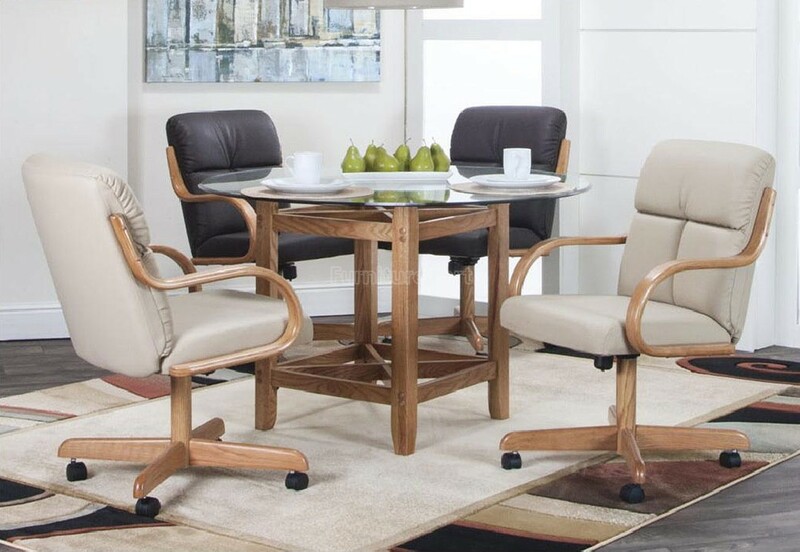 The Fremont Set is a perfect idea for your dining room, especially because it is cleaned easily and wear longer.